Although it may seem unbelievable to say that recycling has always been an integral part of making paper through the ages, it’s true. And it’s important because, annually, the world produces more than 300 million tons of paper. At first, old rags and clothes were shredded into individual fibers and used to make paper. It wasn’t until 1719, when Rene Antoine Ferchault de Reaumer, a French naturalist most known for his temperature scale, suggested using wood for papermaking. 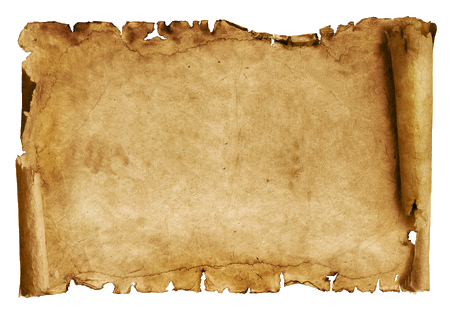 Before Rene, however, there were many methods to paper making. Traditionally, paper making has been traced back to China. But even before the Chinese began making paper, Egypt was using Papyrus for writing. The word “paper” is derived from papyrus, which is Ancient Greek for the Cyperus papyrus plant. Papyrus is a thick, paper-like material produced from the pith of the Cyperus papyrus. Papyrus, though, are plants dried and woven, while paper is made from fibers which have been turned into a pulp and dried out. As previously mentioned, paper making is traditionally traced back to China, where Cai Lun created a sheet of paper using mulberry and other bast fibers along with fishnets, aged rags, and hemp waste. The earliest piece of paper ever found, however, was at Fangmatan in Gansu province inscribed with a map, and dates back to 179-41 BC. It wasn’t until the 3rd century when the art of paper making began to make its way out of China and into Vietnam and Tibet. It was then introduced to Korea in the 4th century, and spread to Japan in the 6th century. Paper making slowly spread throughout Asia to Nepal and later to India. Finally, in 751 AD, paper making made its way into the West, when Islamic warriors captured numerous papermakers and brought them to Samarkand, which soon became a center for paper making. Centuries later, printing technologies rapidly developed and created an increasing demand for paper. Early European papers were made from recycled cotton and linens, which spiked the trade of old rags. The heavy demand for paper soon created the need for great efficiency in paper production. In the late 18th century, Nicholas Luis Robert created a machine that could produce seamless lengths of paper on an endless wire mesh with squeeze rollers at one end. Today, the long soft fibers of softwoods, such as Spruce, have become the most used source for pulp in mass production facilities. Mass producing paper became a huge industry in Europe and America, supplying great volumes of paper for the production of newspapers, books, magazines, paper bags, toilet paper, and even money. The increased volume of paper production has become a complex environmental matter, which is why advancements in the making of paper continue today.